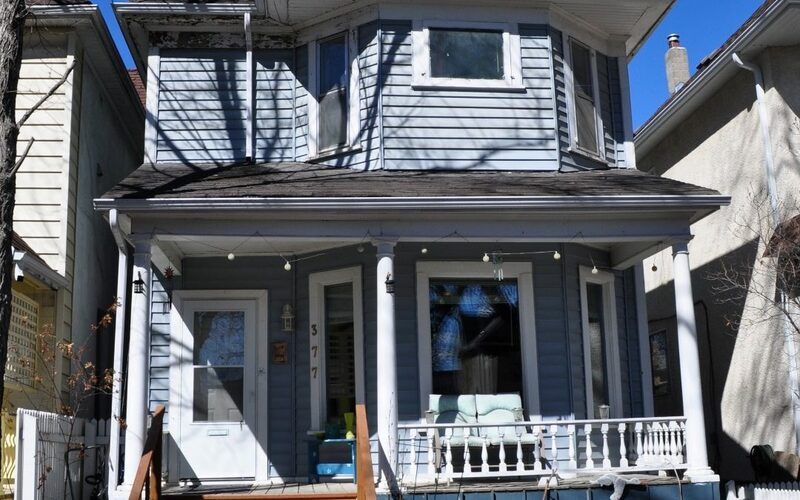 A grand 2-1/2 story 1875 Sq Ft home situated in one of Winnipeg’s hottest neighbourhoods Osborne Village. Solid as the day it was built, this home boasts 5 bedrooms and 3 new bathrooms. Formal dining room, bay windows, french doors, sunroom off the back leading to a covered deck for summer bbq’s. Gas line for the bbq. Good condition single car garage with door opener and concrete parking pad. Fun stylish kitchen with plenty of cabinets, counters and even a bar stool area for social kitchen gatherings. Brand new furnace, hot water tank, plumbing, wiring and much more. Did we mention that all 3 bathrooms are brand new including a full ensuite bathroom!? Douglas Fir wood floors under the carpet. The paint colors are bold but make it your own. What a great house. Zoned multi family. Plumbing on second floor for a second kitchen. Character and love has been given to this home. Come give it your own.